Your character’s replies are sometimes annoyingly sarcastic to the point of punchable. Adam gets a bit boring at times too when he talks about his simulation beliefs and all the science talk. As the feeling of actually liking Adam comes along, it’s immediately killed by something annoying he says such as giving you optional riddles or just plain sarcasm as well, because watching two sarcastic people talking to each other is so fun to watch, right? And now I’m dishing out the sarcasm as well which makes me a hypocrite. Mobile games usually are confined to cellphones or tablets nowadays because that’s what games usually are. It’s not everyday you encounter games that tell you to use different methods to proceed further. Usually you either wait for stamina to restore or pay actual money for energy. Not in NoStranger though. Yes, you actually have to do stuff other than keep your hands on the phone. You have to play online secretary to Adam by giving him directions from Google Maps so if you don’t know how to use that somehow, it’s time to learn, big boy. Keep a laptop ready just in case you decide to play this game. This one involves actually using a ton of other stuff to get to the ending of the game. You also have to search for dates in certain blogs that have been made several months ago that look like real blogs from the people mentioned in the game. Funnily enough, there are over a thousand comments from people asking the fictional blog author for the answer to one of the objectives in the game, instead of just reading the front page. The blogs don’t take up more than one page so not a lot of digging would be done. It’s just weird how people who commented on the latest post didn’t bother to scroll down the page and read an earlier post. There is a fake Milo Yiannopoulos parody mentioned that actually uses a real Tumblr blog just for the purposes of this game. Also, Rick Astley and his song “Together Forever” are mentioned in the game. 10 stars. This is my BasedGamer BasedGame of The Year everyone. Review over. Load fake credentials. Kidding aside, it’s amusing to see actual blogs and various web pages made just for the sake of continuing the storyline of this game. It suspends disbelief and sometimes makes you believe that this is real and is actually happening. Good god man, can’t you send that email any faster?! How about the personality test? We don’t have much time, dude! Adam is waiting for us to answer him! After finishing the game in 2 and a half hours, is NoStranger just another Seen? No, stranger! (See what I did there?!) This game has more to it than a simple conversation. 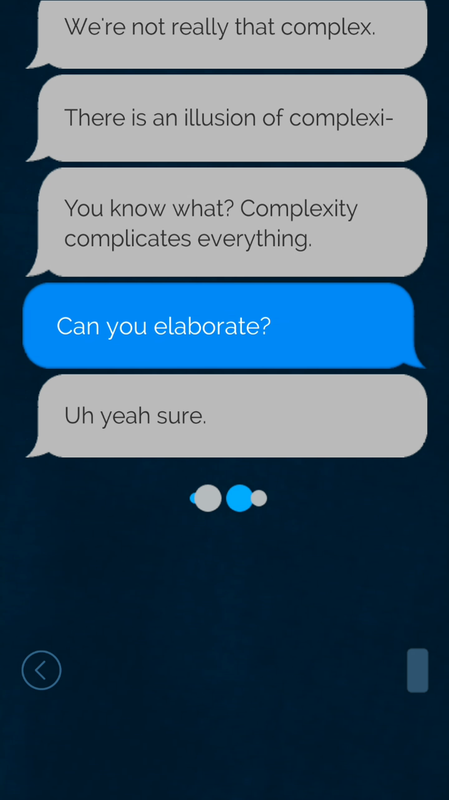 The only comparison that can be made to Seen is that they’re both set in a messaging app. It’s like comparing a baked potato with potato salad. Sure, the baked potato was nice, especially with some light seasoning, but the potato salad has flavor and you know more love and effort had been put into making it, and now the baked potato feels like there’s no effort in comparison. NoStranger is more interesting and actually has a ton of stuff hidden around the internet for you to search for like a digital scavenger hunt. You actually feel like you’re talking to a person more since you can actually type specific words as a reply. Type in the wrong word and Adam will chastise you for being wrong and would try to give you hints. 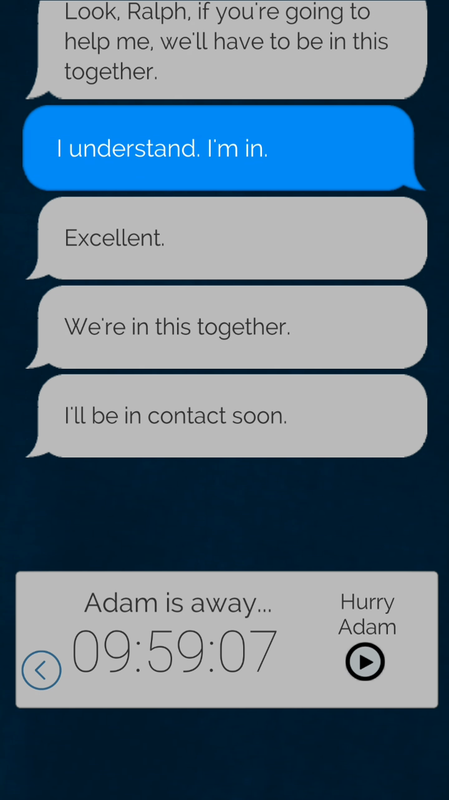 For added immersion, there are waiting times that can range from 30 seconds to 10 hours to show that Adam is busy doing something, similar to other messaging games like Lifeline. You can hurry the process by watching an ad, of course, or you can pay 99 cents and get rid of them forever. With every review I do, I like to ask a question - Is it fun? As much as I want to recommend this to everyone, I’m sure there will be some who won’t have the patience for it and would rather watch a Let’s Play to figure stuff out, if they don’t just watch an entire playthrough altogether. It does feel like busywork sometimes. Moving around Google Street View just to look for an entrance for Adam to use in the game is an interesting idea, yeah, but surely it’s something that not everyone would enjoy doing. Do I recommend it though? No, but with the usual terms and conditions that would lead to a yes. This game is not just a simple conversation where you progress by being a total nerd for a girl you like. It requires a bit of external effort to progress. 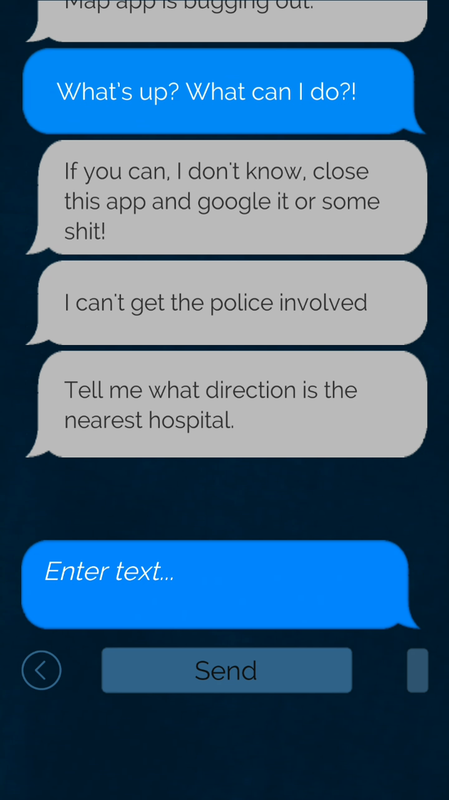 As said earlier, this game feels like a digital scavenger hunt with easily skippable waiting times. 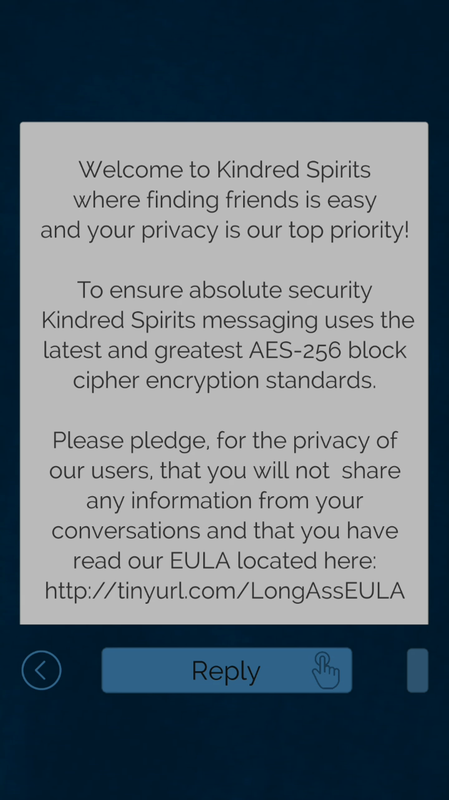 To finish this game and reach the ending, you’ll need several things such as Google Maps, an internet browser, Spotify (optionally), an accessible email address, a QR code scanner, and a phone number that can call a US number. No seriously, you’ll need a lot of these if you want to actually finish the game for yourself. Sending the emails for more information felt a bit creepy since we’re using actual communication methods just for a game. You get sent replies as soon as possible and that would be your next clue. It feels creepy in a way you’d say “Jesus Christ, did an actual person send me this? Wait, is this real?” Of course it’s not real but the unsettling feeling of sending emails to unknown addresses randomly followed by an instant response that is just as unsettling is a unique experience. And most likely, this game is not for anyone who’s concerned about using their personal email address. 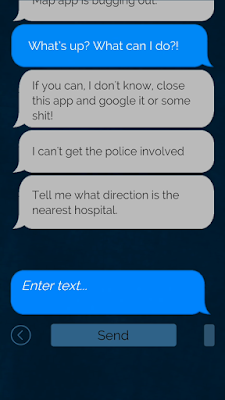 In addition, calling the phone number that played the voice message for the next clue was creepier since I’ve personally never done that for a game before. I wasn’t expecting anyone to answer though but it did lead me to believe that a jump scare was going to smash my eardrums. 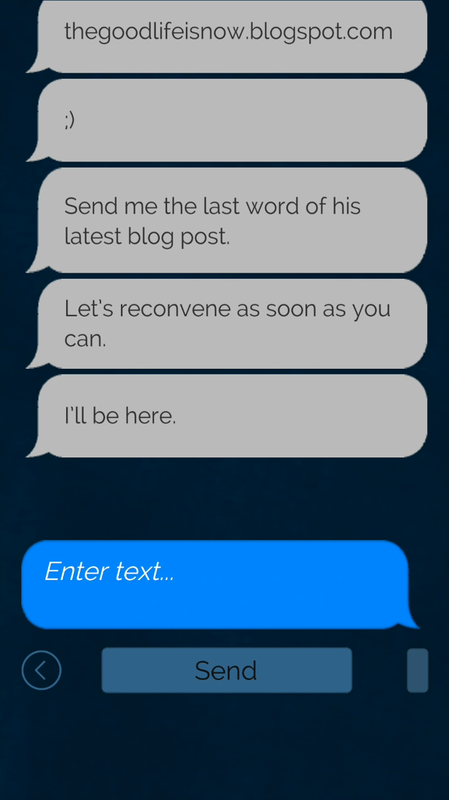 It was still creepy to hear a voice message from a character in the game while using an actual phone number. Although we have to talk about international players who are trying to advance to the next clue. It’s easy for me to call that US number since I live in Canada and US long distance calls are included with my plan, although it cost me 20 cents since I used my backup number instead. People from other countries, let’s say the Philippines or Indonesia, would most likely not be able to easily call an international number since this would mean spending extra money just to listen to a phone message. I would suggest using an app called TextNow just to have a disposable North American number and be able to call the specified phone number for free. So knowing all this, I can’t recommend the game unless you’re okay with doing extra work outside the game and some semi-Sherlock-style light investigating. However, I actually liked it. It was surprisingly more fun because of the digital rummaging due to how I was already too deep in the story and I wanted to finish it, otherwise it’ll just bug me and I’d lose momentum in immersion. The main moral of the game is how you shouldn’t easily trust people online because their actions are unseen to you. You only have their word to go by, ignoring the fact that they could be doing something else and you might just be an unsuspecting accomplice to whatever plans they have, sinister or not. As cliché as the story is and how it ends, it was an experience to get that moment of Sherlock clarity as you figure out the next objective to help Adam or figure out what he’s trying to do. Perhaps this nerd who believes we’re in a simulation is more than what he seems. He’s still a nerd though in a game that was unexpectedly fun. NoStranger is available on Android and iOS and is free to download. There is an in-app purchase of 99 cents to remove the ads if you fancy. Now excuse me as I never talk to anyone online ever again. Full Disclosure: One of the developers reached out to me on Instagram and provided a code to remove the ads and shorten the wait time. Played the game on a Samsung Galaxy S7 while using a laptop and a OnePlus One for easy access to the puzzles.